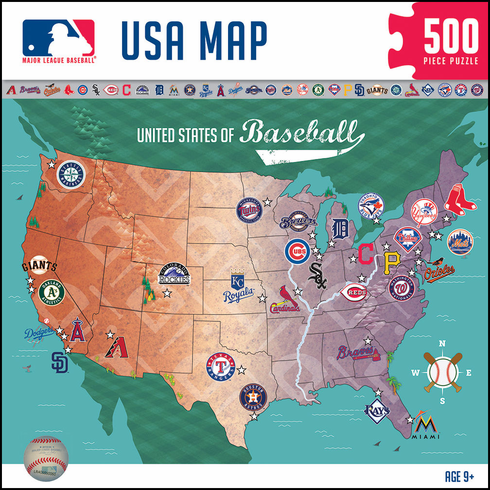 Major League Baseball United States of Baseball Map 500-piece puzzle measures 24" x 18" when completed. Shows the locations of all your favorite MLB teams around the country! Perfect for ages 9 and up.